This article was originally published in the October 8 through 26, 2013 issues of the UFO Digest, and is herewith published with permission. Brief quotes are permitted for journalists and reviewers. Authors Thomas J. Carey and Donald R. Schmitt are not new to the alien crashed disc scenario, having become veteran investigators into the July 1947 alleged Roswell, New Mexico UFO crash. 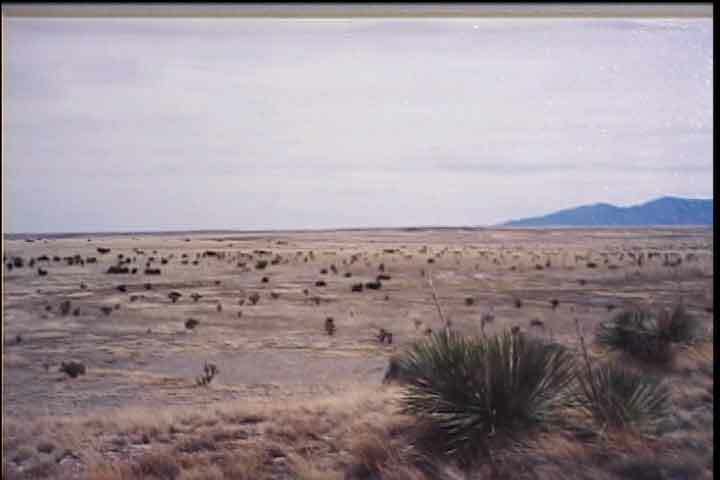 In their Witness to Roswell book, the authors went into detailed testimony and evidence of a supposed crashed alien spacecraft on a ranch in the Roswell, New Mexico region. In this tome they branch out into the further questions: Where was the material taken, were there any witnesses, and how and why was it covered up? They also revealed additional Roswell disclosures. 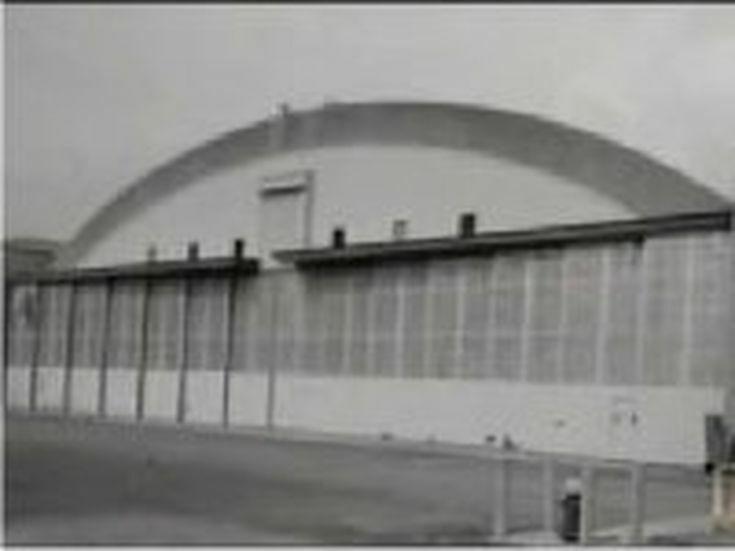 The authors take us on a historical tour of Wright Field as the headquarters of the Material Division, a branch of the Army Air Corps, and the Technical Data Section (TDS) IN 1920, through its re-designation as the Technical Data Laboratory (TDL), and, on July 1, 1945, T-2 Intelligence, which specialized in metallurgy and reverse engineering. At the end of the war, more than 50,000 employees worked at what came to be known as the Air Technical Service Command. This encompassed Operation Paperclip of over 200 German scientists. In September 1947 the Air Corps became officially a separate branch of the military and Wright Field became the Wright–Patterson Air Force Base. Part of the book concerns itself with the location of a legendary Hanger 18 housing aliens and material. The authors contend there has been confusion between “hanger 18” and “building 18.” There is, in fact, a whole series “building 18 complex” consisting of A, B, C, D, E, and G.
UFO researcher Leonard Stringfield mentioned in his Status Report II “Crash/Retrieval Syndrome” of January 1980 a “building 18F” as a possible “holding tank.” Because of its close proximity to Hanger 23, it was often referred to as “Hanger 18.” Witnesses testify that Hanger 23 was where the UFO wreckage was first deposited before being moved to building 18’s underground levels. 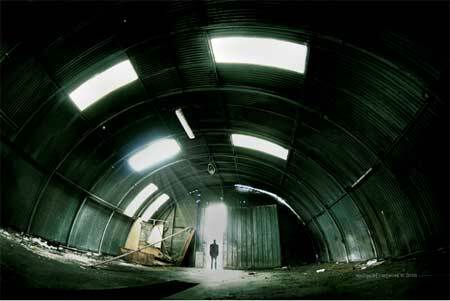 The UFO wreckage, with bodies, say the authors, were probably delivered to Hanger 23 until suitable underground passage connected to building 18 for permanent storage. Autopsies may have been carried out in the Aero Medical Facility in Building 29 and eventually to Building 18F. The bodies were moved about the AFB, possibly Building 45 (“…down long passageways past several checkpoints to a large underground vault beneath Building 45…”). According to Robert Collins, a retired former Air Force intelligence officer who worked at Wright-Patterson’s Foreign Technology Division, the UFO material left Wright-Patterson in the 1982-1983 time frames and was sent to Area 51 (p. 49). July 9, 1947, seemed to be the date that the full weight of “the problem of the flying disks” came down on the shoulders of the top echelon of both military and government officials. A drastic “cover–up mode” was instigated. Curiosity spilled over from several high-ranking military officials such as Brigadier General F. Schulgen of the Air Intelligence Requirements Division (AIRD) in an October 28, 1947 secret five-page AIRD “draft of collection memorandum” listing “…current intelligence requirements in the field of flying saucer-type aircraft”; but by the “end of July (1947) the UFO security lid was down tight” (Captain Edward Ruppelt). 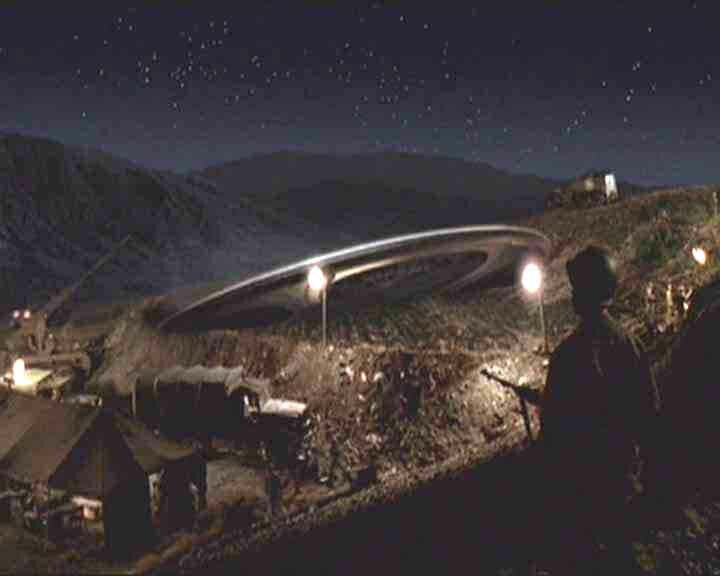 The authors dismiss the claims of Robert Lazar and U.S. Army Colonel Philip J. Corso as far as their assertions of aiding back-engineered/retrieved UFO artifacts. 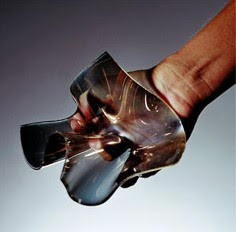 They do believe there were legitimate attempts to replicate “shape recovery” properties of the Roswell crash debris. They contend the Battelle Memorial Institute in Columbus, Ohio, The New York University, The Oak Ridge National Laboratory in Tennessee, and the Lawrence Livermore Laboratories in California, were party to reverse-engineering. The government’s best attempts resulted in a material known as “Nitinol.” One of the scientists involved was Elroy John Center who worked at the Battelle Institute from 1939 to 1957. Center said he analyzed metal from a crashed UFO. 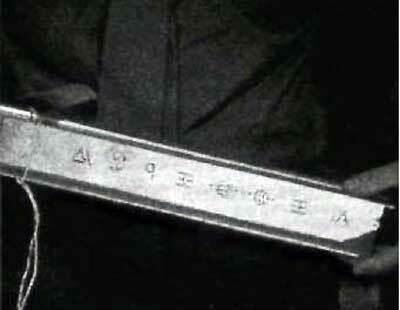 The debris he handled was inscribed with “glyphics.” Nitinol could be traced through two “progress reports” written in 1948 and 1949. Dr. Fred Wang was also a participant to an experiment with psychic Uri Geller to bend or “morph” Nitinol: A “clue” as to the “nature” of the original Roswell material. 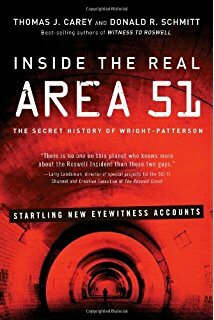 Chapter 5 delves primarily with the late Senator Barry Goldwater’s attempts to see a suspected “Blue Room” at Wright-Patterson. Goldwater gleaned UFO information from friends such as Air Force General William “Butch” Blanchard. In 1947, Blanchard had been the commanding officer of the 509th Bomb Group and the Roswell Army Air Field. The authors seamlessly add stories from other historical encounters: Captain Oliver W. “Pappy” Henderson, Captain Joseph Toth, Brigadier General Arthur Exon, Norma Gardner, Robert Thompson and several others. Special notice is made of June Crain and squadron leader Marion “Black Mac” Magruder. 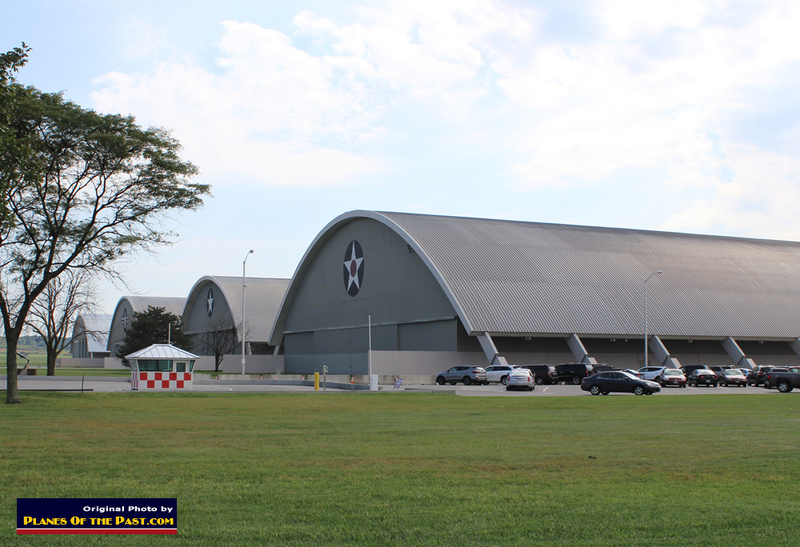 Crain was present at Wright-Patterson originally by way of the U.S War Department on three occasions from 1942 through 1952. She carried a top-secret “Q” security classification. 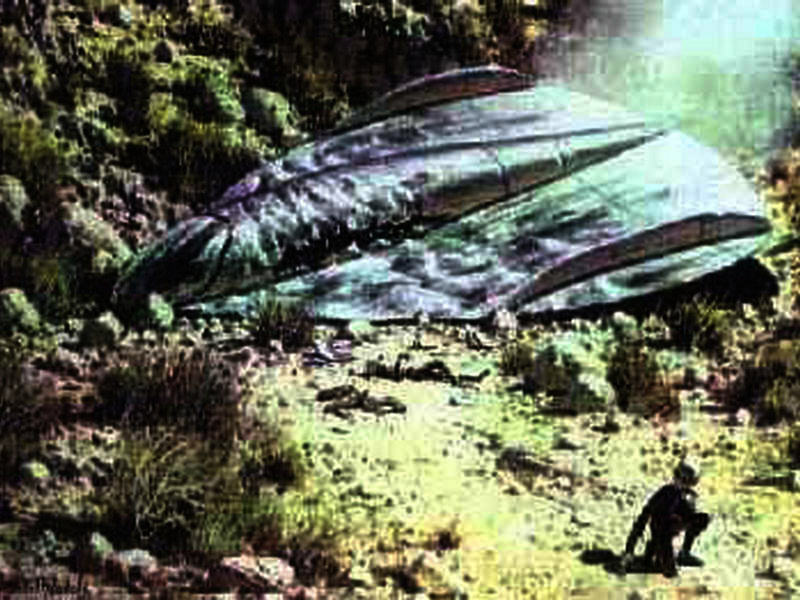 It, however, was not enough to allow Crain complete knowledge of “Project Caucasian,” suspected to be the UFO crash. A Richard V. Wheeler is suspected to be the officer who allowed Crain to handle a piece of “a spaceship.” According to Crain, the truth about UFOs and crashes was “common knowledge” among the scientists and engineers at Wright-Patterson. Werner Von Braun was one of those scientists. 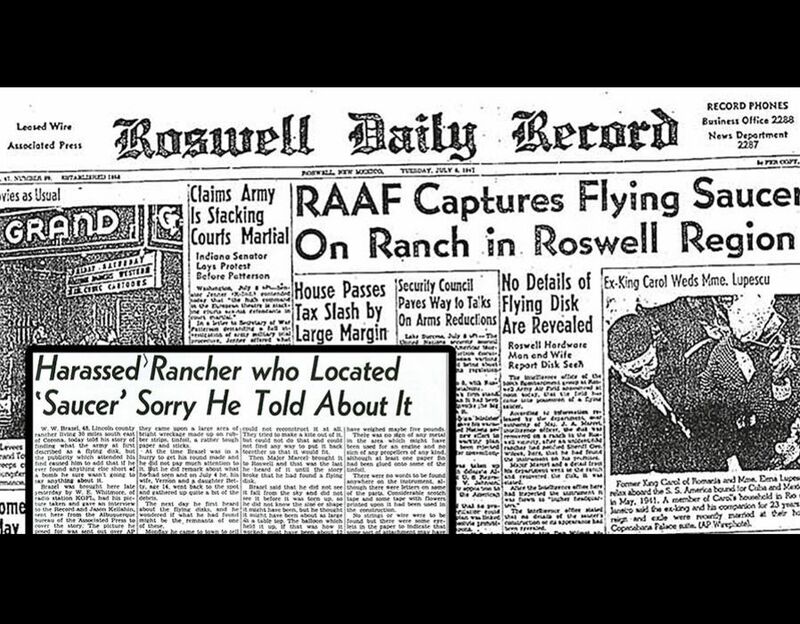 Mark Magruder, the son of Lieutenant Colonel Marion Milton “Black Mac” Magruder, highly decorated World War II fighter pilot, tells of his father’s witnessing the bodies and remnants of the Roswell UFO crash during April of 1948. A good portion of the book traverses the military and government response as an open and curiously healthy Project Sign with its Loedding/Sneider September 1947 “Estimate of the Situation” that the UFOs were interplanetary craft. Additional testimonies are spread throughout. Physical descriptions are given from the files of Leonard Stringfield, Dr. Lejeune Foster who examined bodies retrieved at Roswell, Dr. Leon E. Kazarian, who specialized in biomechanics, and was a senior-level scientist with the Air Force Aerospace Medical Research Laboratory at Wright-Patterson in the 1960’s and 1970’s, was a probable witness, Dr. Leon B. Visse, a French expert on biological elements connected with cellular tissue, did a 1959 examination of alien corpses at Wright-Patterson, among others. John Mosgrove in October of 1979 was party to a dental specimen of an alleged alien jaw bone from Wright-Patterson. Various critics were dissatisfied for a variety of reasons. RRR Group said on August 7, 2013: “The hyperbolic account in the book astounds; it is overly dramatic and punchy…sensationalized to make a point that belies reality.” I am not sure if the book would be any more enjoyable if it was written strictly in the joyless syntax of raw scientific prose; Nothing less than original laboratory documents would satisfy these pundits. Likewise, TSH said on August 8, 2013, that Anthony Bragalia needed to fully document his findings on Nitinol so “hacks” couldn’t piggy-back-off his hard work. Investigator Anthony Bragalia, did believe a crash occurred, but that there could be no single reason for the crash. He mentioned that forensic examiners and failure analysis experts often attribute accidents to multiple causes, a convergence of events. “Roswell’s crash was caused by an amalgamation of things,” said Bragalia. Roswell remains an amalgamation of questions: questions that will continue to be raised: the answers will only arise with a convergence of new facts. Steve Erdmann can be reached at dissenterdisinter@yahoo.com or independenterdmann@gmail.com – or – the editor of this magazine. You can visit his Timeline on Facebook or friend him at https://www.facebook.com/stephen.erdmann1.